EduPristine is a leading Analytics Institute in India. Our aim is to help professionals and students meet the growing demand for talent in the field of analytics by providing industry-relevant training. 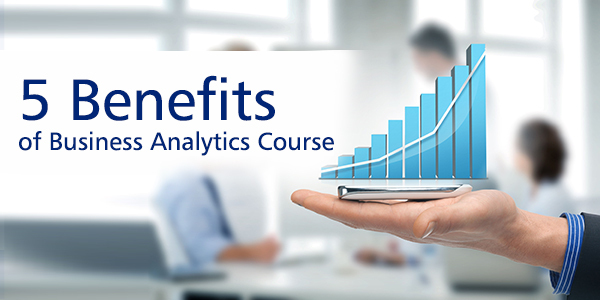 Our course Business Analytics Course by Dun & Bradstreet which will help you to succeed in today’s highly analytical and data-driven economy. 1) DRIVE BETTER BUSINESS DECISIONS: Get a fair and practical knowledge of statistical & quantitative analysis, explanatory & predictive modeling and fact-based analysis to drive decision making. Enhance your data interpretation & problem-solving at work. 2) UNDERSTAND ANALYTICAL TOOLS: Get exposed to the basics of data management, decision trees, logistic regression, segmentation, design of experiments, and forecasting with R, SAS and Microsoft Excel Tools- best for all kind of business analyst jobs. 3) GET BEST BUSINESS ANALYTICS JOBS: Get job opportunities in Finance, Marketing, Economics, Statistics, Mathematics, Computer Science, IT, Analytics, Marketing Research, or Commodity markets, check jobs at Naukri. 4) INDUSTRY’S BEST SALARY: The average salary for a Business Analyst (Unspecified Type) is Rs 491,522 per year (check jobs at Naukri). The skills that increase pay for this job the most are Project Management, Requirements Analysis, SAS, Microsoft Visio, and SQL. Experience strongly influences income for Business Analytics jobs. 5) FLEXIBLE TRAINING: Free on weekends or a working professional? Get skilled-up on your free time during weekends. We conduct both- Classroom and Online Training. About the Certification: The Dun and Bradstreet certification will give you a headstart to your analytics career, and what importance does this certification have incorporates and analytic firms of India. 1. Certification that gives you credibility – Availing this certification will make you credible enough to stand out in the arena of analytics and showcase you a someone capable to work as a Business Analyst. 2. Certification perceived of high standards – Dun & Bradstreet is an American company founded in 1841. Dun & Bradstreet has been listed on the Fortune 500 and was one of the first companies to be publicly traded on the New York Stock Exchange. Employers will perceive you as a certified Business Analyst of high standards. 3. Certification that is recognized universally – Dun & Bradstreet is the world’s leading provider of global business information, knowledge and insights and is globally recognized.